As we previously reported, Tory Lanez is working on a Latin album called El Agua. He has already shared the first single ‘Pa Mí‘ which features Puerto Rican reggaeton star Ozuna. But Tory had earlier revealed that he’s also putting together a project for his English speaking fans. Today, he shared a new single ‘Talk To Me‘ featuring Rich The Kid which we’re really liking. Turns out, it’s the first taste off the other album titled Love Me Now. The Toronto singer-rapper called into Zane Lowe’s show on Beats 1 and revealed its name. Tory also shared a long list of artists who will be making guest appearances on the album: Chris Brown, A Boogie Wit Da Hoodie, PnB Rock, Lil Baby, Gunna, Bryson Tiller and 2 Chainz. Watch Tory’s announcement below. 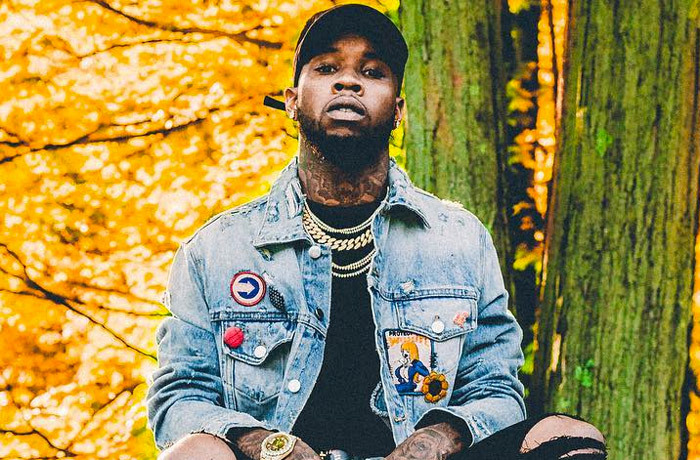 Tory Lanez released his sophomore album Memories Don’t Die earlier this year which moved 54k copies in the first week and debuted at number three on the Billboard 200.